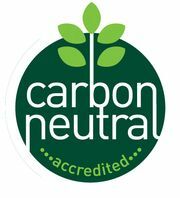 Internet Stones.COM is a carbon neutral website. It is hosted on green servers. At Internet Stones.COM we believe and understand the importance of eco friendly policies. In our offices we have stopped the use of paper products whenever possible. We also encourage recycling. We have selected hosting partners who have partnered with Trees For The Future, a non-profit organization dedicated to sustainable agroforestry. Copyright ©.Internet Stones.COM. All rights reserved.